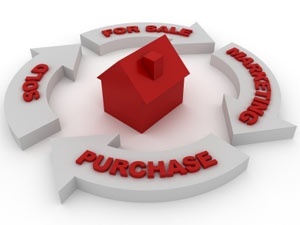 Selling your home can be a stressful and seemingly daunting process. We find that it is easier to look at the process broken down into 6-steps. More than 2 million people in the United States have real estate licenses. However, real estate is a tough business with a steep dropout rate, and the result is that only a small percentage of those with licenses are professional and capable of actively helping buyers and sellers. Why do I Need a Marin Realtor? How Do I Choose A Marin Realtor? Across Marin County there are hundreds of real estate agents and brokerages and the competition can be intimidating. When interviewing agents it is important to consider the following: experience in the business by the number of years working full time and which have reflected different market conditions, track record by number of homes sold, current inventory and homes in escrow, support staff versus a “one person show”, professional designations and testimonials, knowledge and experience in specific neighborhoods, methods of marketing – active versus passive, networking and top agent affiliations. Sellers should use all the resources that they have to select their realtor including referrals, the internet, testimonials and regional experience. For additional information on how to choose a realtor visit our “How to Choose a Realtor” section. When setting a price, the important thing is to be realistic. This is where the experience of the agent is critical. You want an honest, well thought out evaluation where the agent is telling you the truth of what the home will sell for and not just a number they think you want to hear, just to get a listing. If the price is too high, the house will sit and you will end up chasing the market down. A well prepared comparative market analysis (CMA) and an experienced agent with a good track record are the best tools for establishing a realistic price. Professional appraisals and reliance on programs like zillow are very unreliable and do not reflect current market conditions and competing properties that are currently on the market. Once you and your realtor have established a price, have them calculate a “net sheet” which will show you what expenses to expect and what you will be left with to buy your next home. An experienced agent can give you a realistic idea of what to expect and one should consult their own tax accountant regarding any tax consequences. After you have chosen an experienced Marin real estate agent, you will need to sign a listing agreement: a contract in which you agree to allow your Realtor to sell your home during a given period and pay the Realtor a fee when your home sells. Most Marin Real Estate Agents and Brokers are independent contractors who work for a licensed brokerage. The amount of compensation you pay a broker is negotiable, but most Realtors have standard pricing models that they use across all of their listings. The agreed upon commission structure will be noted in the listing agreement. Make sure you understand how the fee will be paid before signing as this will be the monetary motivation for your real estate agent. Also, before you decide on the commission, be sure your agent can explain the pros and cons of paying a higher commission than competing properties, especially when there are many competing homes. Almost all Marin agents will ask for an “exclusive right-to-sell” listing. This means that you will owe the broker a commission regardless of who finds a buyer during the listing period. In other words, if you decide to sell the house to your cousin, your broker still gets a commission. It's possible that a local Realtor from another company will find a buyer for your home. In that case, your broker is the listing broker, and the second agent is the buyer’s agent or broker. General practice in Marin County is that the commission is split between the listing agent and buyer’s agent. The listing agreement will specify how long you agree to list your house with a company and a specific agent. You want a period that's long enough to motivate your Realtor to advertise your home and respond to buyers, yet short enough to allow you to change to a different agent or brokerage if you become unhappy with the Realtor's service. Remember that the listing agreement is a contract, and your agent and brokerage is bound to the terms just as you are. Every Marin home is different and your contracted real estate professional can provide you with advice and recommendations when preparing your home for sale. It is important to remember that people buy on emotions and your home has to feel right, or buyers will look elsewhere. An experienced agent can advise you on whether the home should be staged or not. Staging “paints the picture” for a buyer. It creates a vision for what could be, which works on their emotions. As part of the overall marketing strategy, your Marin Realtor may arrange a tour of your home for local agents and perhaps schedule an open house for the public. Your realtor may also run ads in local newspapers, Web sites, and other publications tailored specifically for the type of home you are selling. Keep in mind that there is a big difference in active and passive marketing. You want your agent to explain the difference and how they are going to be pro-active in getting buyers throught your doors.More information on Peter and Karin Narodny’s tried and tested marketing techniques can be found in our “Marin Home Marketing Guide” section. In reviewing the offer, you have three options: accept, reject, or make a counteroffer. A counteroffer is a rejection of a buyer's offer with a simultaneous offer from you to the buyer. Carefully review the figures compiled earlier to determine your net proceeds–closing costs may be quite different from earlier calculations. Discuss the possibilities with your real estate agent. In practice, closings bring together a variety of parties who are part of the transaction process. For example, while the history of property ownership has been checked, it's possible that the records contain errors, unrecorded claims or flaws in the review itself, thus title insurance is necessary. At closing, transfer taxes must be paid and other claims must also be settled (including closing costs, legal fees and adjustments). As the seller you will have to do relatively little as much of the “legwork” will be handled by your Realtor. If you have any questions or concerns about the listing process please contact us.